In the past it was believed that Evolution and Religion simply couldn’t co-exist as concepts. After all, evolution claims that all life on Earth descends from life. However, religion believes that life was put on this earth, particularly the human race, as a result of a higher power, a God so to speak. Despite their differences however, many people are claiming that the two can co-exist, although some sacrifices would need to be made. Let’s take a little look at some of these reasons. Evolution is generally accepted as a scientific fact nowadays, after all, there is so much evidence out there. Darwin was generally assumed to go against the church, and other religions out the world. However, if you read his theory properly you will notice that he makes absolutely no claim that there isn’t a god, he merely stated we all evolved from a common source. Consider this for a moment, perhaps evolution could be a tool of god? This is what many scientists believe who are deeply religious, but who understand the theory of evolution. You just need to shape the way you think in order to fit with changing sciences. Remember, religion evolved from what the beliefs were at the time. Many scientific researchers, again who are religious, claim that the bible isn’t actually meant to be taken literally. Instead, it is simply a text which is designed to provide guidance in our lives. Yes, it has a deep meaning, but that doesn’t mean things actually happened. One scientist (Again religious) has gone to show that there is a lot of inconsistencies in the bible. I am pretty sure that this ties in with the first point. Evolution has a whole, a scientific fact helps to answer why we got to the point that we are at the moment i.e. we evolved. However, no science out there can actually prove why this happened. Again, I will mention the point of ‘tool of god’. Many scientists are actually beginning to realise that not everything in the world can be predicted, and thus people can still believe in religion whilst accepting the idea of evolution as a fact. Perhaps a point that is slightly more controversial than any of the others. However, you need to remember that Evolution has only recently shown to be true whereas religion is thousands of years old. Religion is sadly unable to adapt to changing times, back then it was regarded as a way to explain the world, however scientific advances has provided answers. Those that believe in religion are adapting to scientific advances, and thus religion is adapting with the times. Although there is still a fair percentage out there who have yet to adapt their religion. Humans are intelligent species right? Somebody of course had to put this intelligent design into place. Whilst there is no disputing evolution, there must be a reason why humans are more intelligent than any other species on the planet. Perhaps religion can help to explain this? You’ve made some very valid points that help bridge the gap between science and its former enemy, religion. It will be difficult to convince both staunchly religious people who are firm in creationism as well as scientists who doggedly believe science and religious explanations can never logically correspond. Hopefully pieces like this will help in creating cohesion between these two views of the origin of life which could lead to a universally accepted explanation for it. You provide some excellent points for how these two explanations of the origin of human life could be cohesive. Although there are still many scientists and staunchly religious people who will not accept these valid points because of their blind faith in their respective ideologies. Hopefully more articles like these will surface and change the mindsets of these people and eventually lead to a unified, universal explanation of human origin. 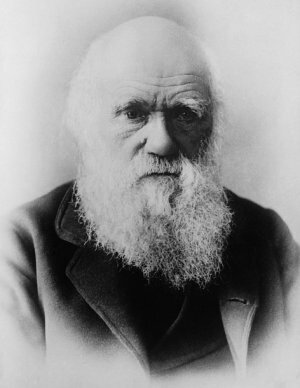 I’m a current student studying Darwin and discussing the relationship between religion and evolution in class. I’ve been looking all over the internet for material to use in debates and essays. Most of the articles that come up tend to be from the extreme creationists, which provide little to no intelligent argument for creationism. So thank you for providing interesting views with a moderate tone.